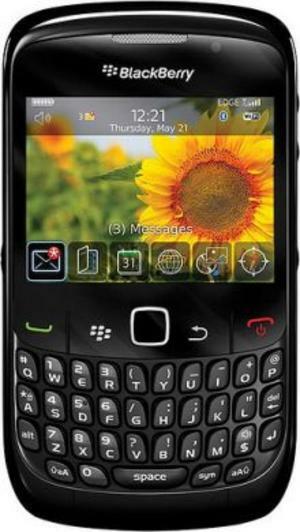 Hello I’m Kamal Kaur and I’m a BlackBerry addict (aka CrackBerry). I’m not going to apologise for being addicted to my fabulously, gorgeous hand-held device and I will certainly not pay any attention to any remarks about how bad addictions are and how we get ruled by our addictions if we can’t do without them and all that 12-step stuff. I’m not looking down on the 12 step procedure but I’m also not endorsing it in this case. I got my first BlackBerry about two years ago and it was love at first sight. Here was this amazingly awesome hand held device that had me in touch with everyone and anyone I wanted to be in touch with, I had the world’s encyclopaedic knowledge at my fingertips and I could safely be stranded on an island like Robinson Crusoe as long as Man Friday my BlackBerry was with me. About two months ago, when my sister was visiting from Scotland I decided to go to my local supermarket and get some shopping done and off I went, filled my trolley and all and got to the check out. Ordinarily I would have just put the phone right with the car keys on that plastic kind of shelf at the check-out counters – you know which one I’m on about – and got on with emptying my trolley’s contents to be scanned. For some reason that day I put the phone into the outer pocket of my purse thinking it will be better off in there and started unloading my trolley. Bad move. Just as I was unloading the tins of sweet corn the bag fell over and I bent to pick it and out of habit just thought of having a look at my phone in case I had received an email or Facebook message or whatever and to my horror I saw a crack on the screen. I felt the world stop. The cashier asking me for my smartcard seemed to be talking gibberish and everything and everyone suddenly seemed to go in slow motion – you know, like in the movies. My eyes welled up with tears and I suddenly couldn’t breathe and somehow I managed to finish with the shopping and got home in a daze and went to my room and cried my eyes out. Having said that I’ll have you know that I wasn’t just sobbing because of the BlackBerry but because something awful had happened and I needed to vent. Sometimes just having a bad day triggers a lot of crap that goes on and sometimes you just can’t handle it. I’m one of those people who don’t even want to think back to the times without mobile phones and internet. If it’s here it’s HERE! Deal with it! Stop snidely remarking to me when I check my emails what on earth I did before there was email. And don’t even look at my BlackBerry with distaste because that just casts your bloody evil eye on it. It’s my prerogative also to choose a BlackBerry over an iPhone so please stop harassing me to ‘make the switch’ like it’s some sort of religious cult or something and if I worshipped the other brand I’d be better off. I’m very happy worshipping my brand thank you very much. And yes, time did stand still, the world did go square and I did stop breathing the day my BlackBerry fell and broke. So now you know that I’m an addict and I have my shortcomings and that should I ever be parted from my BlackBerry life might just come to an end…. Next The Age Factor in a Relationship – Does it matter?